The late businessman tycoon Bonny Katatumba. File Photo. 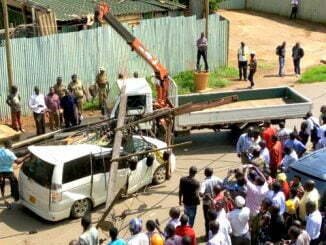 Residents and leaders of Mbarara have expressed shock and grief at the death of businessman Bonny Katatumba. Mbarara is Katatumba’s ancestral district where the family is credited for a great role in its development and promoting education through Katatumba academy; the first international school in Uganda. Katatumba, the Honorary Consul of Pakistan to Uganda, passed on at Kampala international hospital where he has according to the family been battling pneumonia. He passed on at 8:00am, Thursday. Mbarara District Chairperson Tumusiime Bamuturaki says that the district has lost an inspiration. 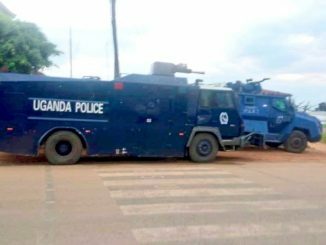 Mbarara Municipality Member of Parliament Michael Tusiime told our reporter that the death is a big blow to Mbarara and Uganda. Tusiime says that the deceased had helped hundreds of people to get on their feet. Mbarara Municipality speaker Bonny Tashobya told our reporter that the news of Katatumba’s death is shocking. He says that the deceased has contributed a lot in the education sector by establishing Katatumba Academy which is comprised of a primary school and a secondary school where hundreds have been given a future. 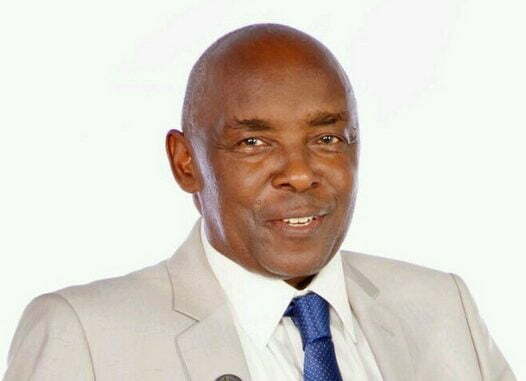 Katatumba attended the University of Western Pacific in United States of America where he attained a Master of Business Administration (MBA), Commerce and Industry between 1998 – 2000. He had earlier on in 1971 graduated with a Bachelor’s Degree in Sociology and Economics from Makerere University. He served as president of Uganda National Chamber of Commerce and Industries, member of Economic Policy Research Centre. A noted businessman and diplomat Bonny Katatumba was one of the much-respected Ugandan business persons. He was in the ranks of the late James Mulwana, Gordon Wavamuno, Aga Sekalala Senior among others. He has been the owner of properties like Hotel Diplomat, Katatumba Academy and Katatumba Suites, Katatumba Resort Hotel -all under the Katatumba Properties Limited. Bonny Mwebesa Katatumba had an illustrious career as a Diplomat heading the Pakistani Consulate in Uganda. He was appointed Pakistani Consul in Uganda in 1999 by former Pakistani leader, Perves Musharraf. His close to eighteen years of services as a diplomat has yielded results a according to Kassim Omar, the Chairman of Uganda Clearing Industry and Forwarding Association (UCIFA). Omar says Katatumba virtually ran the consulate like a Public Relations Officer or marketing manager. He credited Katatumba for playing a leading role in attracting Pakistani investors to Uganda. There are about five thousand Pakistanis living in Uganda. Omar says Katatumba was also one of the few humble business persons in Uganda. He says the late believed in dialogue instead of confrontation in resolving conflict. Ismail Sekandi, the Executive Director of Uganda Hotel Owner’s Association described Katatumba as a social and hardworking businessman. Bonny Katatumba was President Uganda National Chamber of Commerce and Industry from 1996 – Aug 2001. He was also Chairman G77Chamber of Commerce and Industry during the time he served as President of Uganda National Chamber of Commerce and Industry. Katatumba also authored a book titled “Success is around the Corner” The book chronicles his life rising from a herds boy to a millionaire and diplomat. He was born on 3rd April 1946 and was married to Grace and Gertrude Katatumba. He had nine children from the two relation relationships. Katatumba began his education at Nyamitanga Catholic Parish Primary School, Ibanda Junior School. 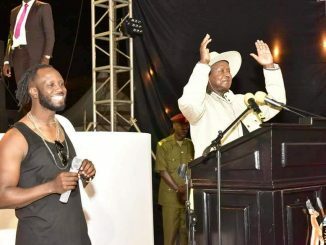 He began his secondary education at Ntare School, Mbarara and later joined Old Kampala High School. He was at Makerere University from 1969-71for a Bachelor of Science Degree. He also had MBA degree from University of Western Pacific LA USA. Bonny Mwebesa Katatumba according to his book says he became interested in business and doing well in life from an early age. He began by selling green banana juice to travelers along roadsides in Western Uganda. At Makerere University, he said he was not ashamed to start a car washing business, something many of his classmates considered beneath him. He said he had noticed that many students had cars badly in need of a wash.
Katatumba quickly filled a need by washing cars for students and employed others to work for him. Many mistakes in business were made, but he quickly bounced back and tried different strategies and took new risks. Bonny would go into business with his brother who was studying architecture at the time. He soon capitalized on the real estate market in Uganda, which propelled him along the path of eventually becoming a multimillionaire. He operated businesses in Kenya in the eighties where he operated leased air crafts. The late Katatumba had had a long court battle in effort to save his properties from being taken over by Mukesh Shukula.